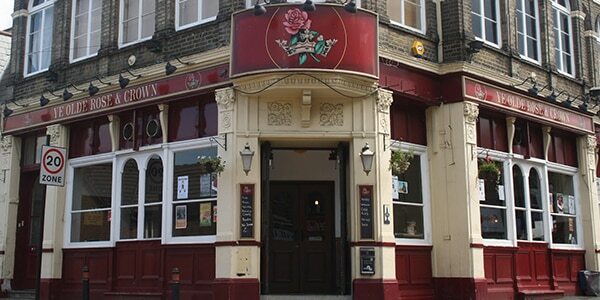 The Ye Olde Rose and Crown Theatre is located above the bar of the same name in Walthamstow. The black box theatre hosts performances from touring companies, All Star Productions, Guffaw Comedy, the Red Imp Comedy Club, and the Walthamstow Folk Club, as well as one-off live music performances and open mic nights. The pub also houses the Red Room, an intimate ground floor space that can be used for meetings, rehearsals, lectures, or as an art gallery for local artists. All spaces are available for hire.